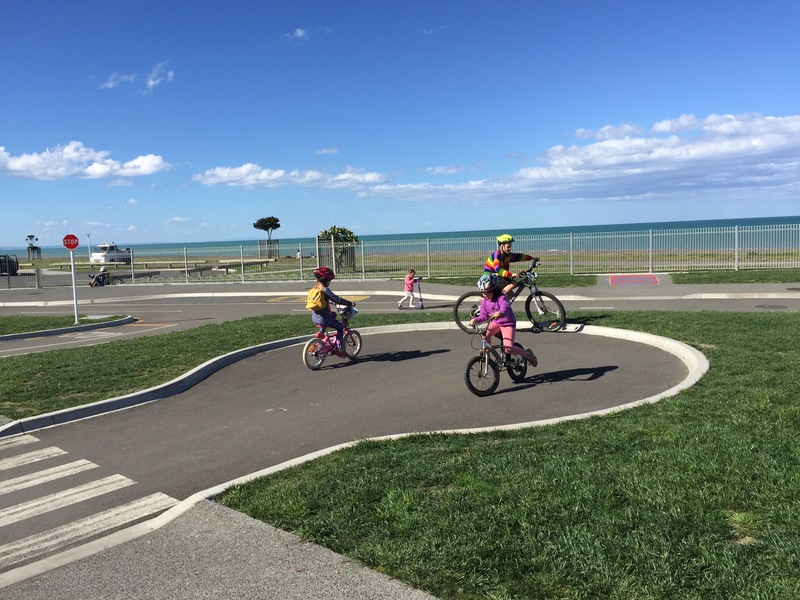 It doesn’t officially open until Sunday but we couldn’t wait that long to try out Napier’s newest cycle way. 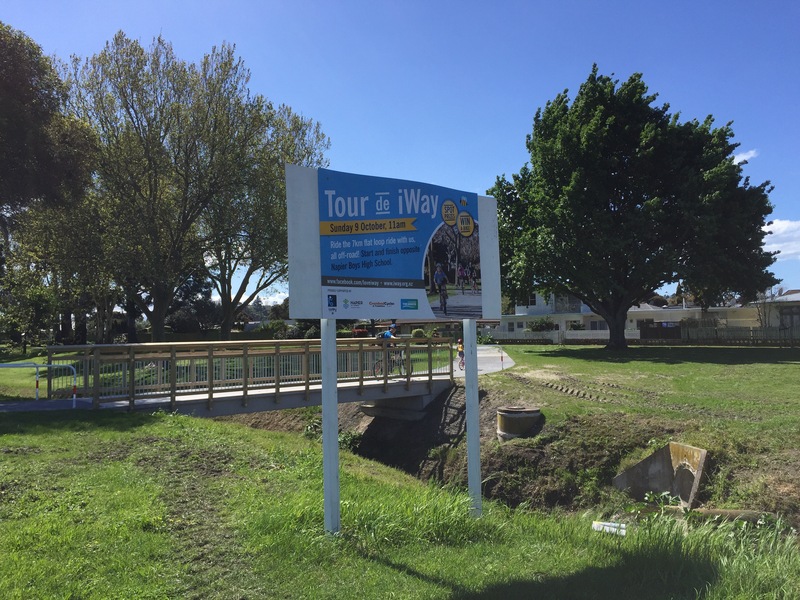 A flat 7 km loop close to Marine Pde and the city centre. We started from Marine parade and joined the iway opposite Napier boys high school. 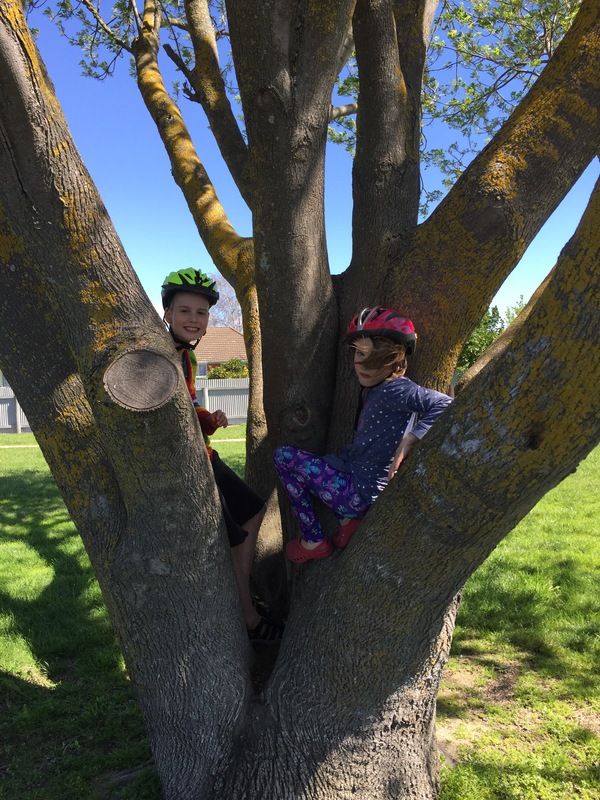 Cycling along the waterfront is always a joy and we promised the kids we would stop at the junior bike park on our way back. The iWay meanders its way through reserve land. Often we were alongside the stream and criss-crossed it a number of time on bridges. 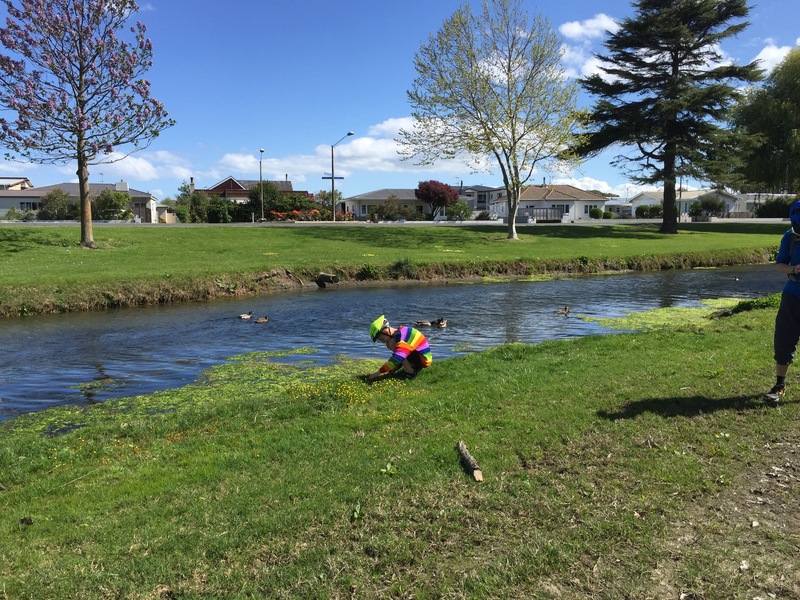 The catch-cry of “ducks!” was well used, and we enjoyed glimpsing ducklings too. 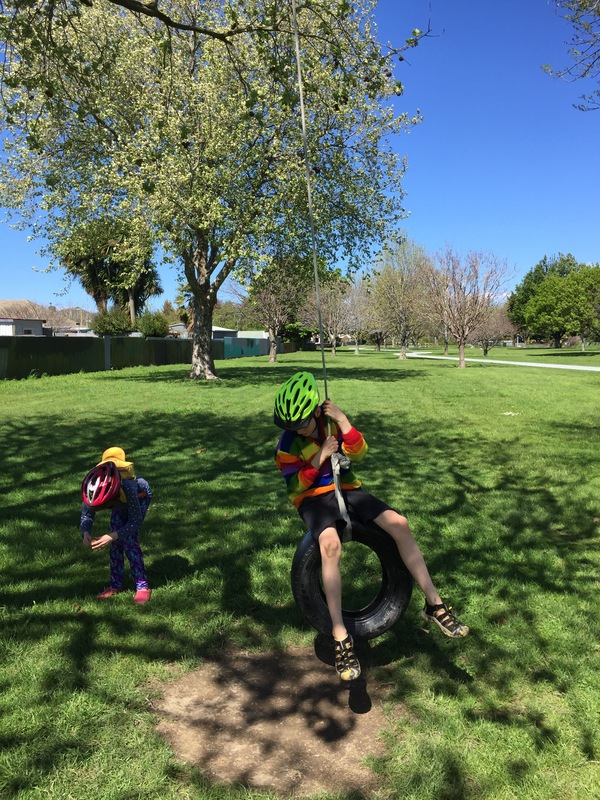 It was also tour de tyre swing. 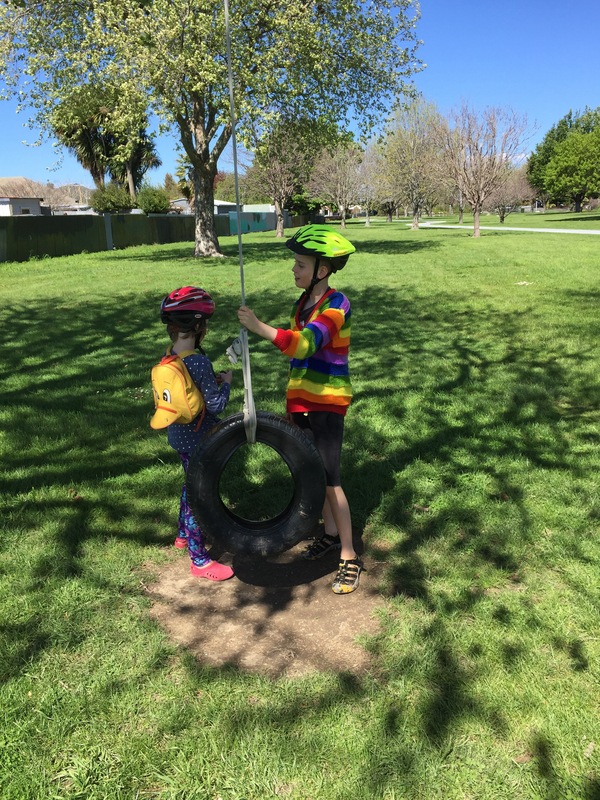 With three different tyre swings to try out along the way. The trees were also offering up some interesting seed pods to examine and collect. Along the way the nice smooth wide path was often complemented by an alternative off road route. An opportunity to exercise route preference and see who can get to the joining point faster. Naturally all this exploring made our outing a celebration of slow cycling (you can have slow food, so why not slow cycling) and it really was about the journey. 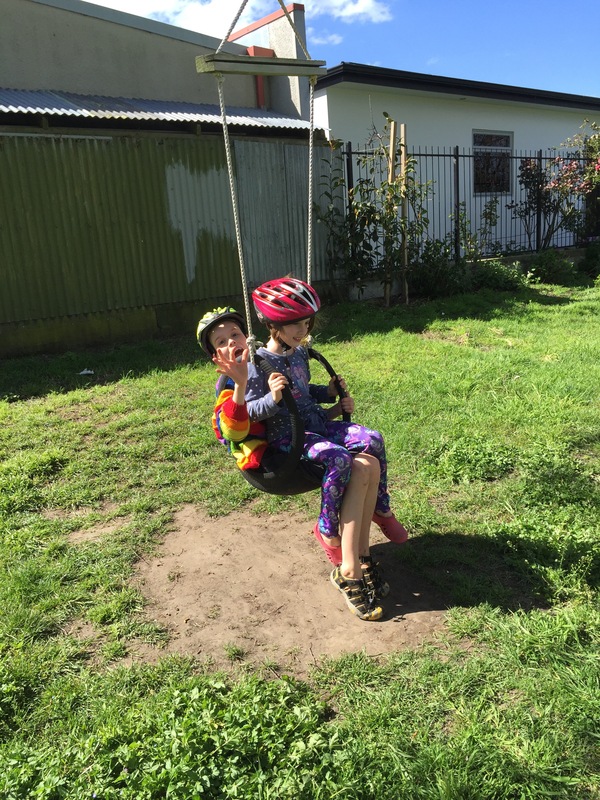 Although for Miss7, ice cream was definitely a destination she had in mind. 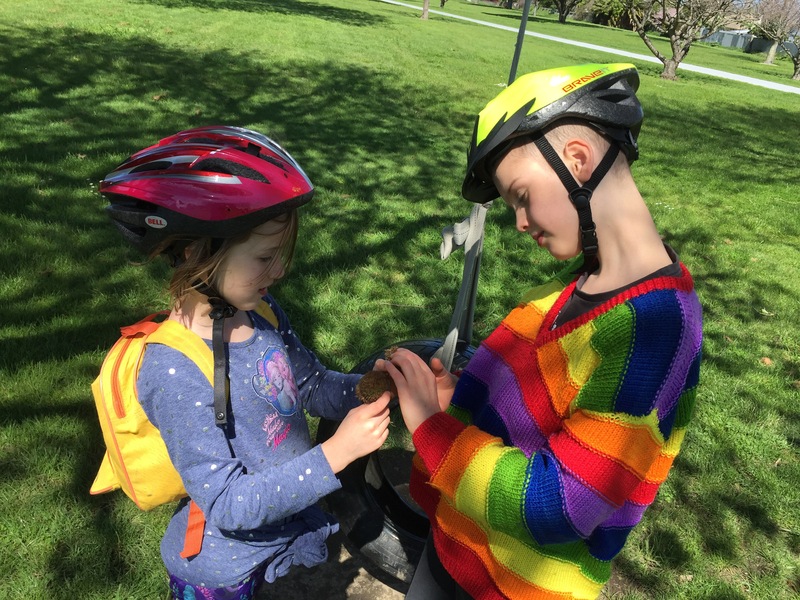 We saved our discovery of a dairy until near the end…. A strategic choice. 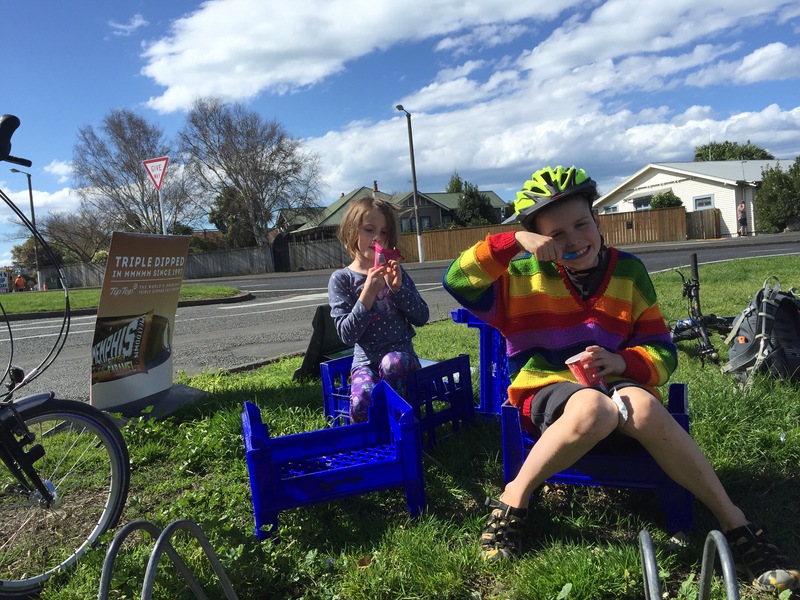 Somehow ice cream consumed after a sunny slow explorative wee cycle adventure tastes all the sweeter! 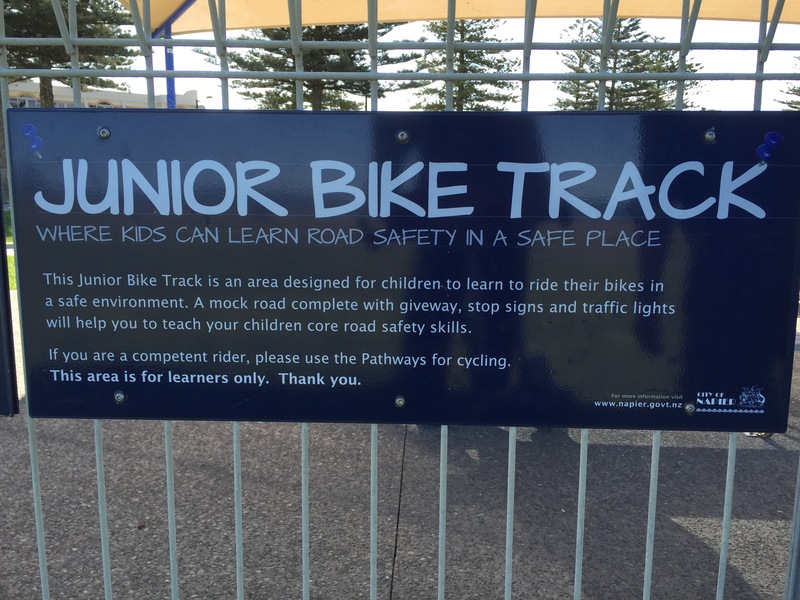 And on the home straight we checked out the junior bike track. 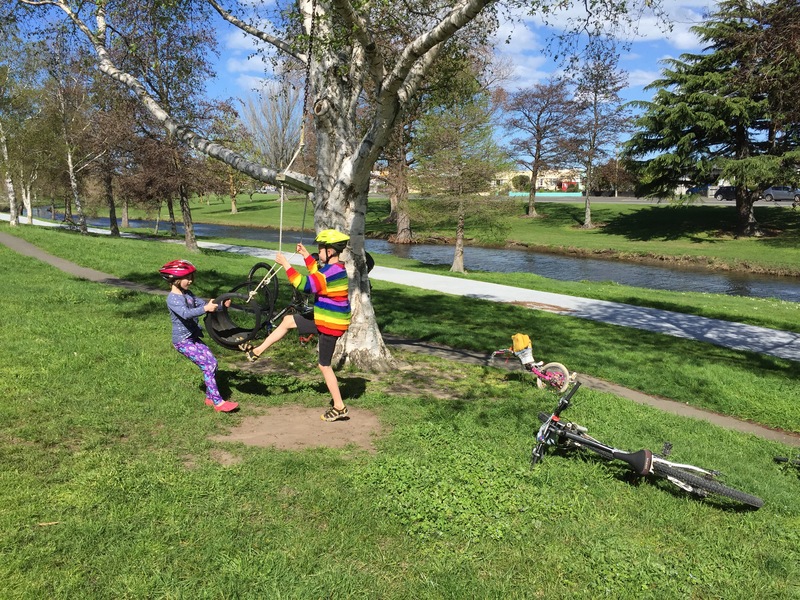 It makes humorous and sometimes alarming viewing to see kids interpretation of the road rules. A clear indication they are not ready for the road. 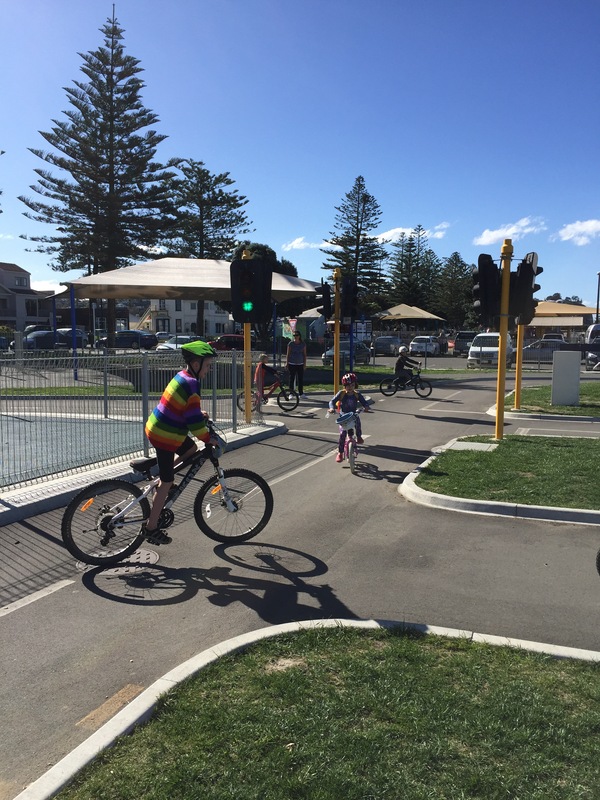 Napier and Hastings are home to an awesome network of cycle ways. 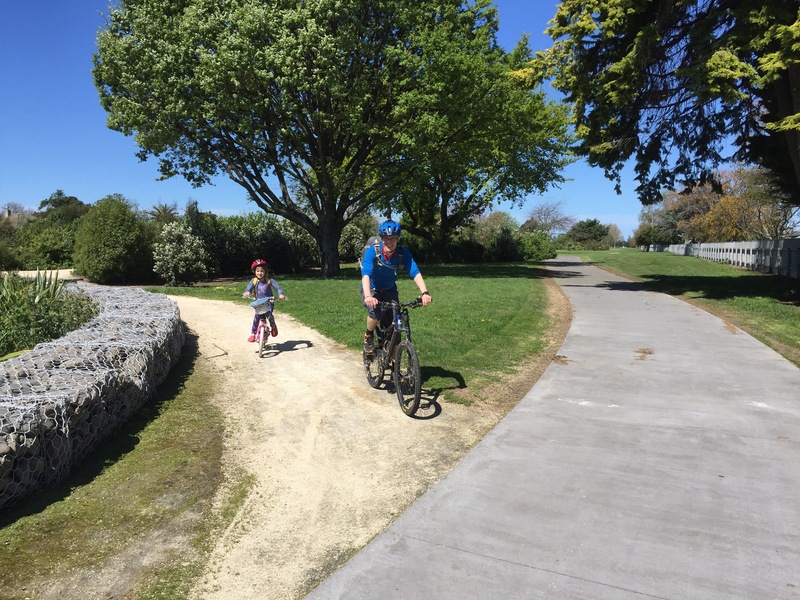 You can travel near and far on safe, sealed and mostly separate shared paths. 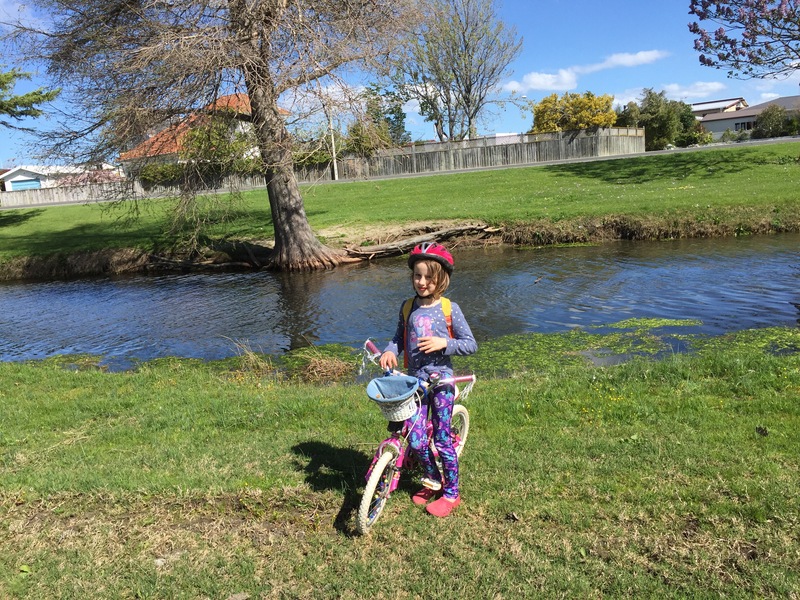 It is a great spot for a family cycling holiday as there is so much to see and do. Thumbs up Napier!